Soft Thick Pile Microfibre Drying Towel. Having the right drying towel makes all the difference when detailing your vehicle. 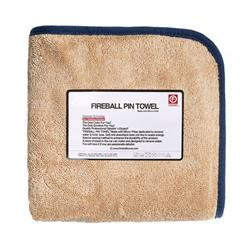 The Fireball PIN Towel is made from soft, luxuriously thick microfibre, constructed to achieve maximum absorbency for ultra-fast drying times. Extra large - dries even the largest of vehicles quickly!